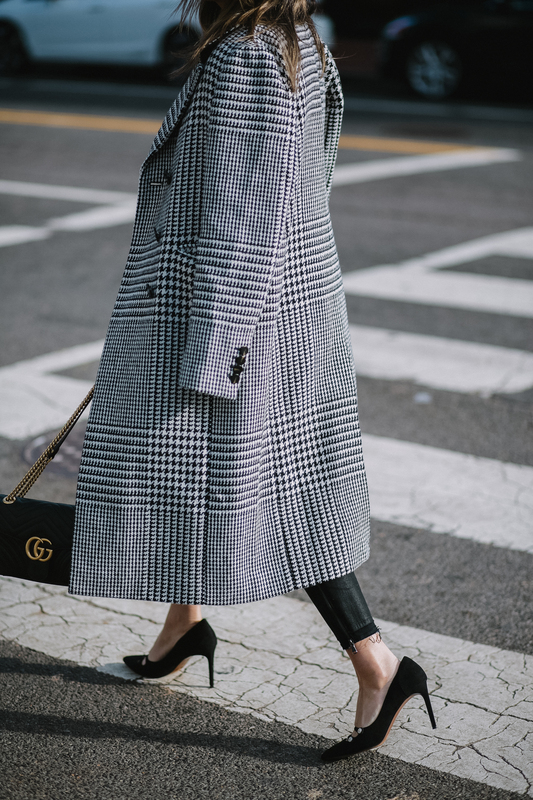 In addition to teddy coats another most have this season is a plaid coat. 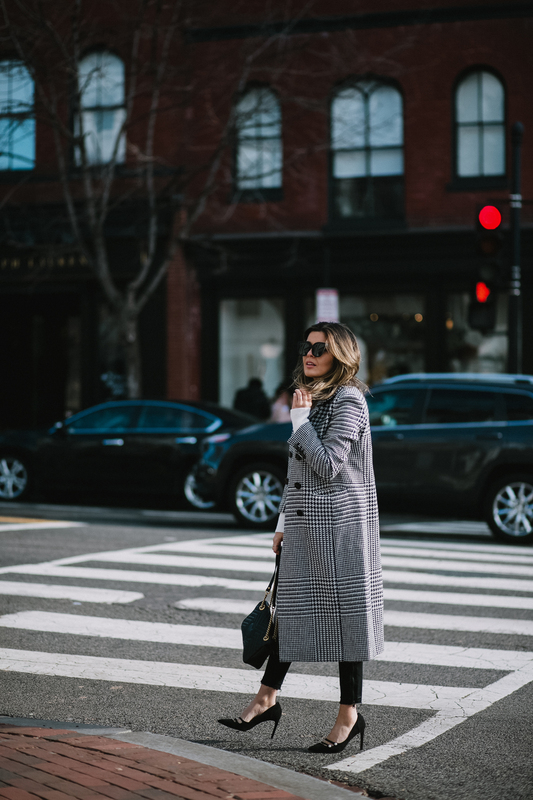 This double breasted plaid coat from Ann Taylor makes a major statement without being too over the top. 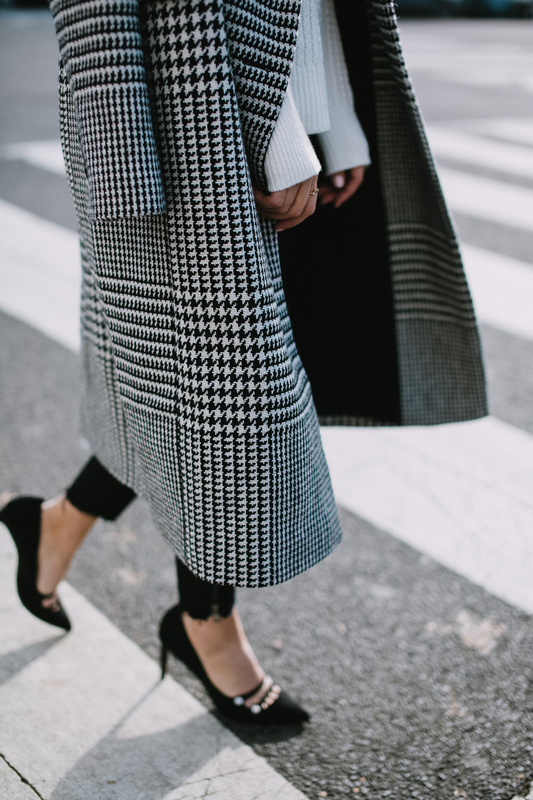 It’s black and white pattern make it versatile and pretty much goes with everything in your closet. Paired with my favorite black coated denim, a cozy ribbed sweater, and new pumps I am ready for a busy day of meetings and catching up with friends. 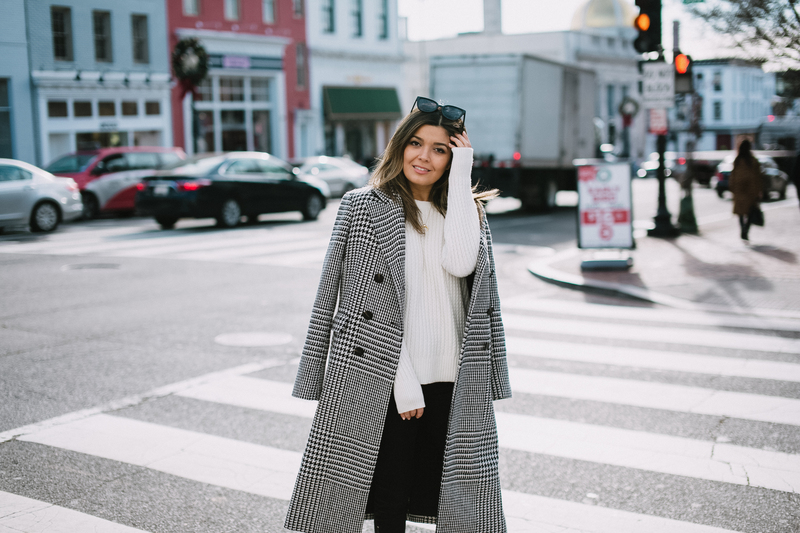 Right now you can also get 50% off this plaid coat and sweater using the code “Holiday50”. 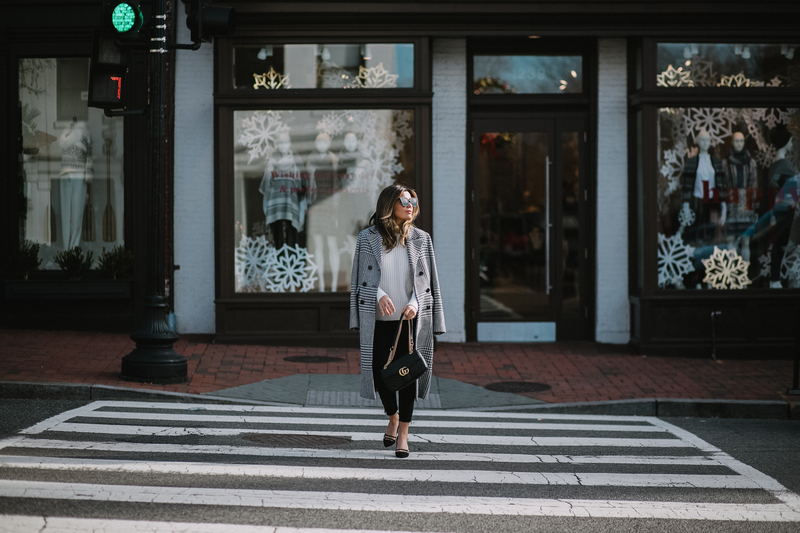 Happy holidays (and shopping). 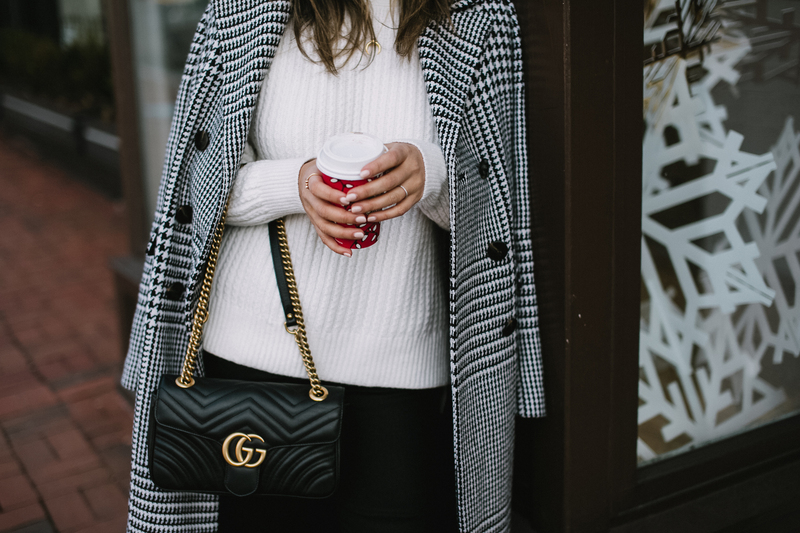 This coat is SO chic! This is from a year ago, but still so chic! I’m looking at purchasing this coat from a seller and wondered if you found it to be true to size, or a little larger? I can never be sure with double breasted styles!